It's Hump Day and World Refugee Day. What fragrance are you wearing? I'm in Guerlain Anisia Bella. 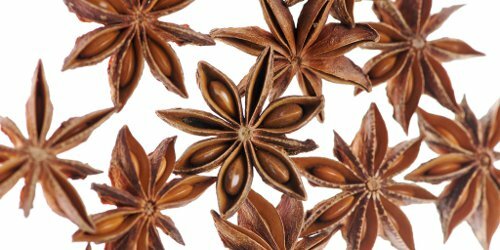 Note: top image is Star Anise Series [cropped] by THOR at flickr; some rights reserved. While its’ old school feel does fit in with the picture, again, it was a scent I have not yet packed, and that is why I chose it today. Ohhh, how fantastic! Enjoy your bee bottle. Congrats on that fantastic score! how did you do that?!!?! How did you like Civet? Congrats on the Iris Ganache! Have you tried it before? SOTD is vintage Magie Noire parfum, by Lancome. This scent always reminds me of a very glamorous family friend who worked for Lancome. She introduced me to the world of fragrance and makeup. Magie Noir is a great choice! I’m thinking I’ll do a month of vintage scents for July based on Robin’s CP. That might be fun! Mmm Magie Noire is one of the best! Wow, the parfum must be amazing. I have a vintage mini edt, and it’s so good. I snooped on Youtube and found an old tv ad for Magie Noire. I do love those old ads! Cool, I’m gonna look it up when I get home. The smell of old-school Lancôme lipstick brings me warm fuzzies. SOTD is Like This by ELDO/Tilda Swinton. On paper, I should hate the perfume with a passion and yet I’ve sadly used almost all of my sample. Wearing En Voyage Zelda today, which is supposed to be a nod to the Roaring 20s but to me, also has a cool, modern green that falls in line with the effect of the painting. My other thought was Go Ask Alice, a pleasant bitter green hemp that contrasts the atmosphere outside this luxury dwelling at the time. I’m gone the rest of the week, so I squeezed my choices together here have a good week everyone. I find there is a balsam note that makes Zelda very green in feel. It is a fantastic scent. It is one of those perfumes that smells a little different every time I wear it, like facets in a gem. A reminder of why perfume is so fascinating! I adore Go Ask Alice, burned through that one pretty quickly. Perhaps I should restock my bottle and get one of Zelda as well. I do love green, balsamic scents. I’m working today (usually my day off) so I’m wearing my new-vintage shirt and a healthy spray of Dzongkha. Continuing my theme of L’artisan treasures, Dzongkha is one of my top ten perfumes. When they repackaged the lobe, it was the first one I tested. Luckily out didn’t smell line they mucked with it. I am extra sleepy too. You smell great! You may be sleepy, but you smell incredible. At least I smell good, no matter what the score! Is that the green one? That one of the ones I end up complementing other people on, not that I have worn it myself for comparison – but it’s lovely! My bottle of eau vive will probably be empty by the end of summer, I’m thinking about replacing it with the eau fraiche. “L’eau de Kasaneka is inspired by the work of the artist Shozo Shimada. While Shimada seems to focus more on abstract portraits than BH Housewife, including Lady, which features a portrait from the shoulders up of a woman wearing black, white and red, his cubist style does fit in the overall modernist movement. 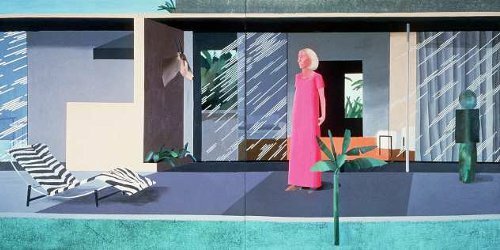 From theartwolf.com: …Hockney decided to focus the work on Freeman, immediately finding that she, like many Los Angeles residents he had met, was very much a function of the space that she existed in, and the space that she existed in was very much a function of her…. I have never heard of this perfume before, how did you find it? and what is it like? The bottle is gorgeous, and the story of the perfumer’s inspiration is intriguing. it was gifted to me by a very generous NSTer. For me it is a cuddlefluff scent (I am quoting Lucas)….soft musky ambrette heliotrope and mild spice…..I have been wearing it for several days sprayed liberally and getting compliments left and right at work! Loved the new Hermes Cedre Sambac yesterday, wearing SL La Religieuse to scratch the jasmine itch. Off topic but I picked up the book you recommended (the Art of Death Cleaning) yesterday at the library and read it cover to cover. Thank you. It’s given me some great ideas, especially with regard to gifting things away and doing it NOW rather than later. Oh god how awful! And doesn’t it seem like the scrubbers are ones that last ALL day! Eeeeeek and ick on PortaPotty air freshener! After my stomach bug this week I just wanted something easy, and since I was running late to work, I just sprayed on a little of the B&BW White Tea & Ginger body mist that lives in my bathroom. I’ve had it for decades and loved it in the ’90s. I hope you are feeling 100% better! I hope you are feeling better! With anything tummy-related, even strong food scents are irritating. Have you tried making a pot of congee or jook? That seems to help calm things when I start eating again. It’s soothing and nourishing, recipe is below. Oh, I hope your tummy feels better! That one smells so good – great for soap and lotion. Definitely a 90s smell! Hope that you have said “Bye bye bye” to your stomach bug! ???? Borrowing from Pl67 on monday, my sotd is Miu Miu. The humidity is gone today, and this is working nice with the cool down. I spent this morning in the tea section of the grocery store, what have you guys done to me!? Lol… I ended up with ginger lemon and tumeric chile, I hope it tastes better than it sounds. So I’m on a total tumeric kick lately. In food, golden milk, anything. I have developed quite a taste for it! Interesting, I’m hoping to develop a taste for it. I will be joining you soon – I was forced to buy a teapot yesterday after perusing the site Robin posted yesterday. Now I need to start my loose tea collection! Ha! I’m in good company ???? If you decide that you don’t like the taste of turmeric in your tea, you can always try to sneak it into very flavorful foods, like chili, or spaghetti, or beef stew. That’s a good idea, I’m a pretty bland cook, I should probably step up my game. SOTD is Chant d’Arômes, which is fast becoming my most worn Guerlain. It’s very quiet at work and the weather is gorgeous, so I would really just love to call it quits and go out in the sunshine. Love Anisia Bella, although I love Anice just a tad more. Weather here not bad at all, so I join you in wanting to get outside! It’s a green tea with ginger and rose. I find it quite invigourating somehow. Highly recommended! Hermessence – Vetiver Tonka for me. Love love love it ( and vetiver and tonka in general ). such a great combination. Ooooh. Is it creamy or scratchy? I feel like vetiver can so easily go both ways. And I like my tonka when it’s on the hay/alfalfa side and not the toothache/sugary side. I’m wearing Jamin et Cigarette. To me, this is the scent of the patio in the painting after dark, when someone has stepped outside to have a cigarette and collect their thoughts after a shocking revelation by one of their guests at the dinner party inside. Have a great day! I’m off to get my hair dyed (who is it so much work to make your hair grey when you finally want to be??) and to read my new book, Circe. Thanks summer reading pollsters who recommended it! Love your interpretation of the painting! 5th and you smell great! I do love your interpretation of the painting! And I adore Jasmin et Cigarette – such an easy to wear jasmine scent. I just finished two books – I’ve added The Song of Achilles and Circe to my reading list – thanks! I was thinking the woman in the painting would wear Bal a Versailles or Fidji by Guy Laroche. I LOOOOVED Song of Achilles and had such high hopes for Circe but sadly was a bit let down. I’m re-reading Jitterbug Perfume for the 11,000th time. Possibly the best interpretation yet! Up since 7 this morning due to a puppy that wanted to play. I really didn’t want to get up that early on a day off. Now it’s waiting on a friend to text me about getting together. Pre shower is Lyric and my mother said it is pretty. I think Lyric is fabulous not pretty. Post shower might be Lyric or Epic. May the reward for early pet waking be a pet snuggle nap later in the day! Pet snuggle naps are the best, especially with puppies. You smell fabulous. Love Lyric. Wearing Chanel 31 Rue Cambon for a very pleasant day outside that I will spend with some friends who arrived from Italy last night. Looking forward to have lunch, do some shopping and go to the Phantom of the Opera in Broadway tonight. I have attended this show one million times and never get tired of it. Always an enjoyment. Have a lovely day with your friends! And you smell amazing! Have a wonderful time at Phantom ! Whoa! HUGE rush of nostalgia with the mention of Phantom of the Opera! I think this was my first big production to see live . . . left quite an impression on me (in my impressionable middle school years)! Now I want to get swept away by a dark stranger. . . ???? This all sounds fabulous! Have a great time! your whole day sounds lovely, enjoy!! Oh wonderful! Have a great day! Sounds like a wonderful day! I have still never seen Phantom, but that’s high praise. Have a great day. Weather is cooperating nicely. Have a lovely day with your friends. Phantom is one of the few plays that I saw on Broadway a bazillion years ago. I still remember how wonderful it was! Oh, it sounds like you are going to have/are having a fantastic day! How awesome! Late comment, but I hope you have a great time! I need to give this one another go. Maybe the heat of summer is the perfect time for it? Although, maybe I’ll wait until AFTER the gym. ???? Oh do! Im really enjoying Gold today. I have only ever tried one Amouage. Must remedy that! Might want to hide your wallet first. Yes!!! This! Even the samples are rather spendy. Same here, I’ve only tried Honour Woman, I liked it, but not for the price. Best Amouage! You smell wonderful. Hermessence Myrrhe Elegantine. This is a beautiful rose.. I wonder how it would layer with Agar Ebene. it’s really well done, a sweet rose. I can’t pull off any other rose but this. didn’t try the agar one though. It is beautiful! You smell great. Guerlain Terracotta today, and glad that my workdays have been going by quickly this week! Lucky you! My week has been dragging. Twins! Terracotta just feels right today. You all are a great smelling bunch! That’s such a refreshing summer scent, I love this one! No SOTM, yet. Not sure how I want to smell. I’m having a very hard time waking up this morning. I don’t feel like doing anything. It’s a gym day, so that’s the only thing on my to-do list . . . at least, the only thing on the to-do list that I definitely plan on doing. There’s always so many long-neglected chores at the start of the summer! But, maybe today they will be neglected a little longer. sigh. maybe you can take a nap too..
Yeah . . . I’m not great at napping, but maybe it’s a skill I should work on. Sounds like you are still decompressing from the end of the school year. Agreed. I’m trying to be nice to myself about the lethargy. Plenty opportunity to be productive down the road. Boy, I am dragging today too, all day. It needed a respray, but yes, it did! Heat came back today so Eau d’Italie Aqua Decima it is! Jour d’Hermes for me, on a grey day when I’m feeling sleepy. Hoping the scent will wake me up some. You smell fabulous. Jour d’Hermes is a wonderful way to wake up. I like it best first thing in the morning. Nothing ever did wake me up today, and seems to be a common theme here! SOTD is Eau de Magnolia, inspired by monica404. I need a travel spray of EdM. You smell great! glad to inspire for a great choice! UNHCR’s definition of a refugee: A refugee is someone who has been forced to flee his or her country because of persecution, war, or violence. A refugee has a well-founded fear of persecution for reasons of race, religion, nationality, political opinion or membership in a particular social group. Most likely, they cannot return home or are afraid to do so. Number of refugees worldwide (not including internally displaced, like the 6 million IN Syria): Over 65 million. Countries hosting and caring for the most refugees: Lebanon does not have the most refugees, 1.04 million, but that number represents almost 20% of Lebanon’s total population. Jordan comes in second for number of refugees per capita. Turkey hosts the highest number of refugees, 2, 770,000. My first teaching job was working with adults in a hybrid program–teaching English (often so they could gets jobs or take the citizenship test), alongside a community gardening nonprofit. We would talk food, then go grow food in the garden. It is the job that made me decide to go back to school to become a teacher. As with any teaching job, what I remember most are the connections to my students. I had amazing students from all over the world–many from eastern Africa and SE Asia (as this was in MN, where many were resettled).
. . . Gracious tea and cookies in the apartment of my student and her elderly mother. Gathering melon seeds with a student who valued economy. Talking about coming from the soil, religion, and ancestors with an old Eritrean priest. Seeing a brief smile on the stoic face of a Sudanese mother, whose family was nearly all lost in the war. . .
My life is richer for having shared time with each of them. Those are great stories. I have a similar feeling about my summer in the Appalachia during college where I drove all over the countryside interviewing folks who’d had their land appropriated by coal companies because of 100 year-old broad form deeds. I loved the people, and the summer definitely planted the seed of law school in my mind–although I didn’t know it at the time. Blue cheese? I thought, “oooh, I like that one.” Then I realized I’m thinking of Penhaligon’s Bluebell. The two scents may be opposite bluebells. Thank you for sharing the eye-watering, eye-opening statistics. In fairness, I may have over-sprayed at first. It calmed down to a slightly stemmy sheer floral. Nose to skin many hours later, my forearm smells like very expensive soap. Actually, I’d probably quite like this one as a soap–but not at Jo Malone prices. I haven’t tried Penhaligon’s yet. Will keep my eye out for it. Interesting statistics. Our annual refugee quota is only 750 with an additional 600 ( over two years) for Syrian refugees… Though this number has gone up a little. With the change of government last year there has been more focus on the desperate conditions faced by refugees on Manus Island /Australian situation. The organizations I work with are helping refugees in Jordan, Lebanon, and Turkey, for the most part. The situation for women refugees who have recently arrived in those countries is getting very dire. Jumped on the Terracotta love train today. Who will join us? Yesterday evening we heard at least four fire trucks moving out loudly and quickly. We live between two fire stations, each about a mile away in opposite directions. My son got on twitter and saw there was a brush fire in Griffith Park. (It’s out now, thank you to the fire fighters and first responders.) He has many happy memories of visiting the observatory there, and without really thinking commented, “Gah! Volcanoes erupting and now this. The world really IS a dumpster fire!” Kids these days, gotta love ’em. Wednesday feels lazy. I need to get moving. Time to perfume up this place real good. Ooof, brush fires are a scary thing this time of year in a LOT of places. Glad to hear that the one by you was taken care of double quick! “Time to perfume up this place real good”…love that! ???????? I’m in my love, Shalimar, today. Surely a few Beverly Hills housewives in 1966 wore Shalimar! Can’t wait to get through this day and pick up the kiddos at the airport tonight! Enjoy your visit with your son! En Voyage Nectars des Iles for me today. I was shopping in my sample basket – this is one my sister gave me. She has a number of En Voyage scents. I like the beginning of this – it’s tropical flowers but not at all heady like some similar florals are…it’s got a lightness. It’s drying down now and getting drier in feel. Interesting. Don’t know if it’s my nose or the fragrance, but I am needing to shove my nose to my skin. …I got nothin’ today, either here or the Facebook group that also does theme of the week. So: Silences pdt again. Galbanum rose gorgeousness. I think Silences really fits the painting. At least the name… The painting seems so still and silent. I am actually considering Silences for Friday unless I think of some other connection. Aroma M Geisha Blanche for me today. Matches my grayish lavender top and smells almost like Dove soap to me with some citrus and lychee up top. Painting connection- the woman looks pretty lonely and sad when I zoom in on her face. Maybe a loveless marriage where her role is functional and her husband is out working and enjoying flirtations and the company of bubbly socialites (his geishas) after work. was more of a representation of how men viewed the role/function of women. Which makes sense in 1966 with emerging feminism. I noticed her hand…it looks awkward and tense. Why would she hold her hand that way? Boredom? Maybe she’s decorated her house, decorated herself, and what’s left to do now? Yeah, I also thought she looked stiff and a little lost. I wore 2012 Ivoire to work. This is one of my reliable favourites, where you just go ‘mmm smells nice’ and fuhgeddaboutit. Especially awesome in early spring and whatnot where it amplifies the waking shrubs around everywhere. I’ve a micromini of the original, too, but these two are definitely two separate scents. If original Ivoire is Bliv, then the modern is Dove. And then good old YSL Champagne EDT for home. I am wearing Omnia Profumo Onice, which, of course, also has a nice anise note. I get a lot of green notes here, too, almost kind of a celery note. Yes, it does smell very good! I am wearing Ralph Lauren Pure Turquoise today. It’s probably the colors on the bottle cap that I think relate to the painting. Plus, I just felt like wearing it. “I just felt like wearing it” is the best reason of all to wear a perfume! And you smell lovely. Oh, good call actually, esp. given all the Hockney paintings of swimming pools, and the reflection of the pool in this one. Just been reading about Betty Freeman, the housewife in the painting. She was a great supporter of contemporary composers and liked the ‘new’. Looking at the painting I had picked her as a Tom Ford type but having read about her I’ve changed my mind. I am now thinking of perfumes that are difficult, far from mainstream, complex…maybe Amouage Interlude coukd be a match? Thanks for the link, Kanuka. I enjoyed reading about Betty and her life in music. The Hockney painting is behind her in a photograph, the zebra chair is visible. Go look. And it sold for $7.9 million! ???? Yes, very interesting woman, and different from what I somewhat stupidly expected. Really adventurous tastes in music! Thank you for that obit. I expected something different too, mostly because I do not think the picture is particularly flattering to her! It makes her look much more boring than she seems to have been in real life. I’m wearing You or Someone Like You. I love the mint top note. Funny that after having it on for hours, I can get the rose note when I smell my chest, but my wrists and arms smell of cassis, grapefruit, and musk. I think this was a good choice for today. Our heatwave should be breaking tomorrow. I can’t wait because I’ve been sleeping terribly in the heat with multiple fans pointed at the bed. PSA: Sylvaine Delacourte’s e-shop is 20% off with code JUNE20. I bought the custom set of two Lilylang travel sprays (total of 15ml). Only $32 with free shipping! Not affiliated, just a happy consumer. I’ve been sitting on my hands lately, but this is tempting. Yeah, I was supposed to wait til July to buy more perfume, but it was going to be Lilylang anyway. And I’d be foolish to wait and pay full price in a couple weeks! Excellent enabling! I visited the e-shop and found the discovery set (5 samples) is US$4. Great marketing move, very appealing to someone like me who has not tried anything from the brand. Wow!!! that’s an amazing price!!!! Four dollars?! That had me do a double take…and then promptly head over to the website and order it. That is perfumemath free! Yeah, it’s a crazy price! I think I bought it for $5 when it first came out cause how could I not? I just blind bought two different 15 ml travel sprays and a discovery set for my bestie for only $38. I already own Florentina so this isn’t a total stretch for me. Thanks again for the PSA! Glad to help! Just wanted to make sure you know the travel sprays are 7.5ml each, so I bought the two travel spray set, which was a total of 15ml. Which two scents did you choose? Yeah, I saw that after I posted. I must have read it wrong. The price is still great and I can always go back for more if I find a love among them. Thanks again. Beautifully austere and unisex. Need to get my hubby to try it. I’m wearing Keiko Mecheri Mulholland Drive because, Beverly Hills. This is not like the movie by that name, I assure you. Orange, sweet, a few other aspects I can’t pin down. The description says it’s an olfactory impression of Beverly Hills hipness and psychedelia, which might fit with the period Hockney lived there. It doesn’t seem to connect at all though to me with this pretty somewhat innocent-smelling perfume. Interesting. I don’t think of Beverly Hills along with hipness and psychedelia anyway, I guess, but I also never lived there. I grew up there and I can confirm that you’re right! And, Mulholland Dr isn’t in Beverly Hills, it’s in the Hollywood Hills and belongs to the city of Los Angeles, so there’s that, too. Got to spend a couple of days at college, for the annual conference my department runs–and it was *superb. * Plus it is such a treat to spend some time with people who care about this stuff, and hear about their work. I seem to have made a really fabulous new Aussie pal, too. And, perhaps even better: i had a session with my coach today, and eight and a half months after injury and being completely unable to train or compete… I was able to bench press again. I am weak as anything, but, no pain. I am beyond thrilled I get to train again. And spending time with him mapping out a plan to get me back to competition makes me absurdly happy. A dab of gym-friendly chypre 21 seemed inadequate for this level of joy. Congratulations on being able to get back in the gym and work out! Sounds like many good things are happening. Congrats! Yay for being back at the gym and a plan for the future!!! I have been nursing a hip injury for MONTHS, and I know first-hand how frustrating it can be to have to hold back. NO PAIN is WONDERFUL. Enjoy it! ???????? Oh, that is good news about your wellness and the conference (You could check out some of the Australian residencies!). We’re like you – long days in summer, short in winter. Congrats on being able to get back to the gym! I know how great it feels to finally get back to the normal routine. Enjoy! Back to the sample stash for me. SOTD = Guerlain Chant d’Aromes EdT. I did not have a scent memory of this, even though I am pretty sure that I have tried this sample at least once before. Actually, I am. It is working wonderfully in the summer muggies for me. Ugh, ocular migraines are so unpleasant. I get them sometimes when I don’t wear sunglasses. I hope it’s over soon. BHH was on a world cruise, enjoying the tranquility of the water and partying it up in the evening soirées. Now she’s back on dry land pondering her next voyage. Will it be another cruise or a safari? Only she knows. Your hand is a safe distance from the toilet bowl as the handle is about 18 inches long and you don’t have to touch the cleaning agent as the disposable scrubbing sponge with bleach clicks into place when you push it through the end of the wand into a refill housing which also holds the wand on the when not in use. The scrubbing head rotates and is shaped perfectly to clean under the rim. No more brushes, no more if those swan neck bottles to clean the inside rim (tbh, I have never successfully used one) and no more of those blue things you put on the side that turns the toilet water blue and smells like the worst synthetic version of almond extract and banana essence. Costco has the best pricing (includes 36 refills) but I got mine at Target with 6 starter refills and I bought the value-sized refills with 20 heads using coupons. Have you tried this? If you haven’t and you’re on bathroom cleaning duty, this is life-changing! Looks like I might be going to Target tomorrow ???? Oh yay! LMK what you think! Thank you for the information! I’ll take a look during my weekend trip to Target. Thank you. I love Vokutes EDT! And have fun shopping at Target! I am traveling for work, am in Newport News, VA. Because of weird travel schedules, I haven’t slept in many hours, and it has been very hot here all day. In light of all that, SOTD is Orange Sanguine. I’ll finish my sample tomorrow, but it will be worth it.